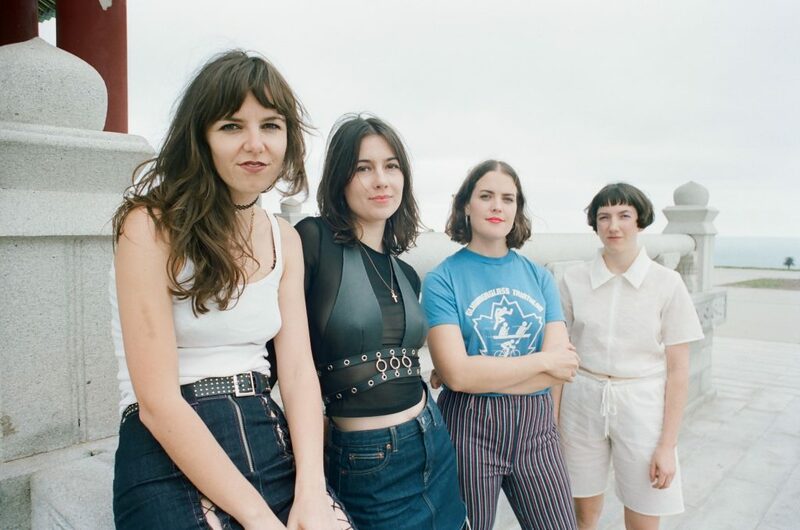 Rising Sydney-based “trash can girl band” Body Type have shared a new track + video from their upcoming EP – out May 3rd via Partisan/Inertia. “Free To Air” is helmed by lead guitarist Annabel Blackman, and the accompanying video (dir. by Matt Griffin) weaves from a face swap bizarro world to the vegetable aisle. Watch HERE and feel free to share. Body Type are fresh off their first-ever trip to the US, having played SXSW and their first headline shows here. Their debut EP last year earned spotlights with Fader, Flaunt, Noisey, Gorilla vs. Bear + more. In Australia they’ve toured with POND, Alex Cameron and Rolling Blackouts Coastal Fever, Japandroids, Frankie Cosmos, Big Thief, Ariel Pink + more. They were also recently featured in Julia Jacklin’s video for her song “Pressure To Party”.